Fraseropolis is a one-editor operation, with input from our co-tourists. We launched the site out of personal interest in the summer of 2011 to explore communities in British Columbia’s Lower Mainland, and to post notes on the functions and dysfunctions of local institutions. In both 2015 and 2016 we had about 10,000 visitors, an average of close to 30 per day. About 82 per cent of visitors in 2016 came from inside Canada, 10 per cent from the United States, and the rest from elsewhere. The most-visited post on this site by far is a June 2015 item called “Best places, taxes and crime in the Lower Mainland”. This piece summarizes and comments on research developed for the Money Sense website, and draws a steady nine or 10 views per day. Posts based on visits to rapid transit corridors — the new Evergreen Line, the proposed Arbutus SkyTrain extension, and the proposed light rail system for Surrey — were relatively popular in 2016. 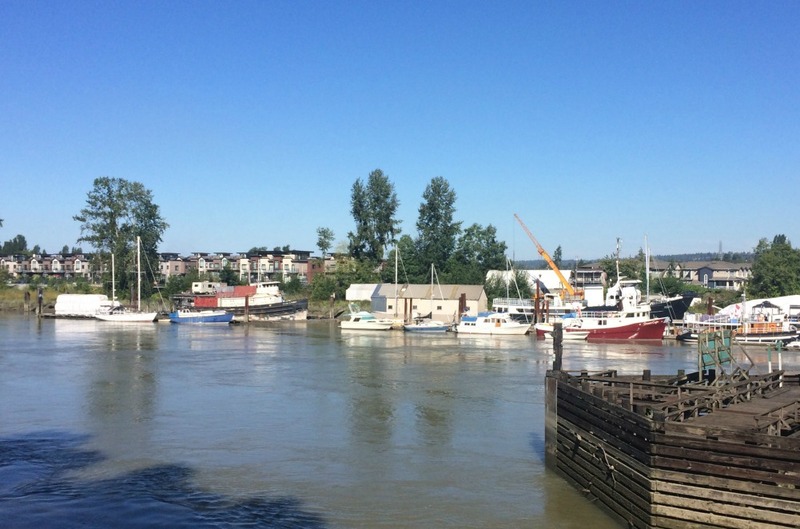 An item on the proposed Fraser Mills development called “Coquitlam’s waterfront plan” has had steady traffic since it was published in early 2014. We are hoping to have an update on the Fraser Mills project in early 2017, and to revisit some of the communities that have featured in previous posts. Also coming up in 2017, we have a provincial election campaign, possibly to include an announcement or two on rapid transit. (The Georgia Straight has predicted a New Democratic Party election win, but given a string of upset wins in various recent elections, we will not venture a forecast.) A September 2017 start is scheduled for the TransMountain oil pipeline expansion, strongly opposed by city governments in Vancouver and Burnaby and by the provincial NDP. A committee of politicians in Metro Vancouver will make another attempt to build consensus around how to address the problem of homelessness. There will be continued (probably modest) fallout from federal and provincial attempts to cool the housing market; luxury home prices will flatline or drop slightly, but condo apartment construction is likely to continue. Underlying it all, the position of the City of Vancouver as the dominant economic partner within the Metro region will be further eroded as the balance of population and career-track jobs shifts to other cities.